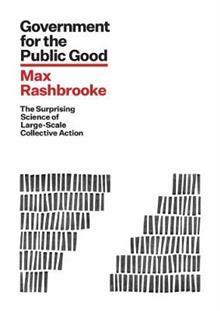 Max Rashbrooke goes beyond anecdote and ideology, delving deep into the latest research about the sweeping changes made to the public services that shape our lives together. What he unearths is startling, suggesting that the market-based reforms have often been a failure, and tha... read full description below. Fast-paced, globally informed and wittily written - Professor Danny Dorling, Oxford University One of the epochal shifts of the last 40 years has been to entrust markets with many of the tasks previously carried out by government. The success of this shift is so often assumed that people have rarely stopped to ask the most fundamental question: has it actually worked? In this wide-ranging book, Max Rashbrooke goes beyond anecdote and ideology, delving deep into the latest research about the sweeping changes made to the public services that shape our lives together. What he unearths is startling, suggesting that the market-based reforms have often been a failure, and that classic government action is surprisingly effective. Drawing on the latest international thinking, Rashbrooke argues that if government is to meet the challenges of the twenty-first century, the answer lies not with more markets but greater democracy. As he demonstrates, deep democratic discussion and citizen participation are already transforming public services around the globe and creating a kind of government fit for the modern world. Refreshing and keenly well-informed, this stimulating book offers New Zealanders a new way of thinking about government and how it can navigate the turbulent world ahead. Max Rashbrooke is a journalist, author and academic based in Wellington. His first book, Inequality: A New Zealand Crisis (2013), was a bestseller and helped shift national discussion of income inequality to a new level. Two subsequent shorter books, The Inequality Debate (2014) and Wealth and New Zealand (2015), affirmed Max's position as one of New Zealand's leading researchers and commentators. Max is also a research associate of the Institute for Governance and Policy Studies at Victoria University of Wellington. He has twice been the recipient of the Bruce Jesson Senior Journalism Award, and was a 2015 Winston Churchill Fellow.